Welcome to the website for Lee: The Pelvic Girdle. This site will enhance your clinical reasoning, hypothesis development and prescriptive treatment of the lumbopelvic-hip region. 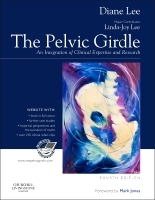 If you have not already bought your copy of The Pelvic Girdle 4E and would like access to the above resources then please BUY your copy today.